Do you want to know one of the best perks of being a blogger? It's when someone contacts you and says, "Hey, I was wondering if you wanted to do a review on one of our products?" Uhhh, heck to the yes I do. 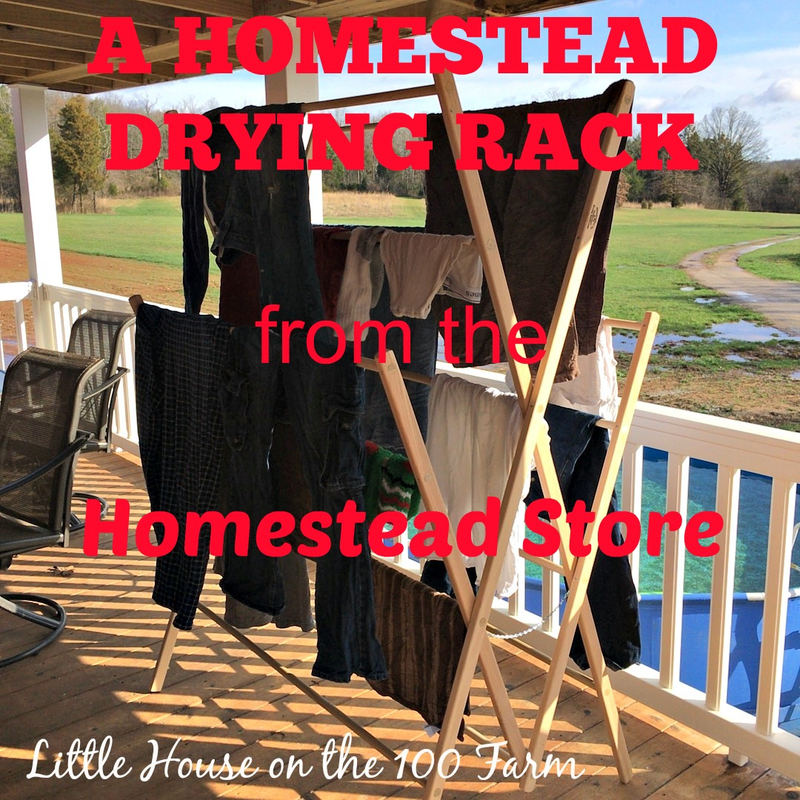 That's how I came to have this awesome Homesteader Drying Rack from the Homestead-Store. You guys, this company has so many neat things! 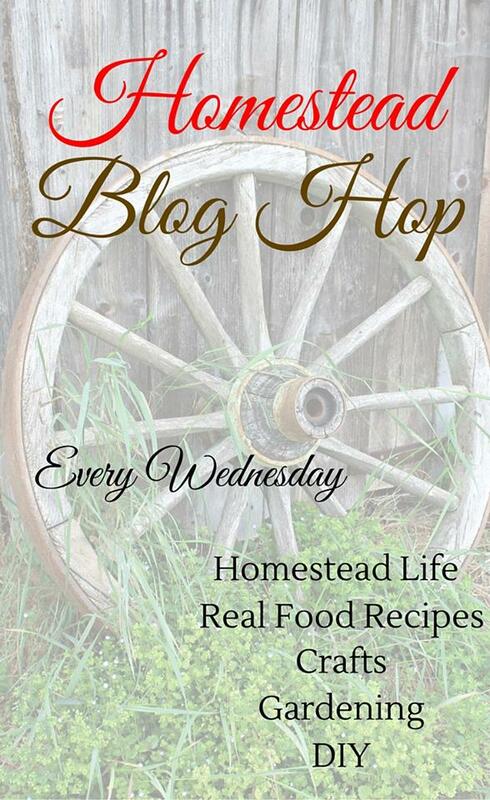 You REALLY need to check them out, and then give them some support because they are a homesteading family just like us trying to make a living and maintain a homestead. 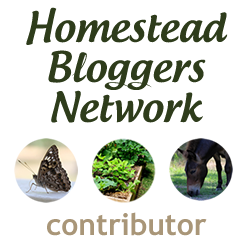 Dreamers and doers of homesteading must unite and stick together, right? I received the package last Friday via UPS, and we had to leave for homeschool co-op before I could even attempt to do anything but take out the pieces and look at the directions. Saturday morning, I decided to take on the project and put it together myself. I wanted to see how easy it would be for me to assemble it instead of my husband. Well, I'm happy to say that I completely assembled it myself without any problems. Once it was assembled, I moved it out onto my covered porch. I have wanted a clothesline for awhile now, but it's just one of those things that hasn't happened yet. This may definitely replace my need for a clothesline. I was able to fit a full load of laundry on it, and it sits under my covered porch so that I do not have to worry about rain. This winter I will be able to set it up in my basement and hang the clothes down there. I am super excited about this product and excited to see how much money it saves not running the dryer all summer. I have purchased cheap drying racks from stores before and this is not cheaply made at all. It is very sturdy and made of solid wood. As I was assembling it, I was quite impressed with the heaviness and quality of the wood. The ones I have owned before were super tippy and flexible. Go to http://homestead-store.com/ and click on Homestead Laundry box. Enter the LITTLEHOUSE discount code at check out for 10% off your order towards the purchase of a drying rack. I highly recommend these drying racks for those who do not have an option to have a clothesline built and are wanting to find an alternative for using an electric or gas dryer for drying your clothes. Let me know if you get one and make sure to tag me on Instagram or Facebook with a picture if you do. I have rack envy. ;) Someday I will own the Homesteader rack, it's been on my wishlist for years. That's waaaaaay better than the little one I have now!